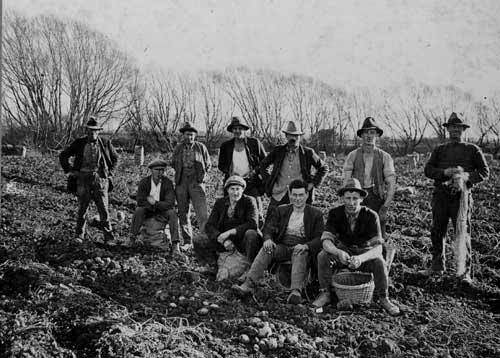 Potato picking was a pursuit which the Irish would have known about from home. These men are working around South Canterbury, another area with strong Irish connections. Permission of the Waimate Historical Museum must be obtained before any re-use of this image.